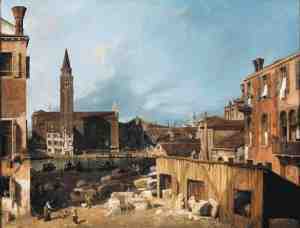 This painting by Canaletto can be found in the archives of the National Gallery in London. Don't know what it has to do with anything around here, but it is a neat painting anyway. Enjoy.